“What is truth?” a ruler once asked a man facing the death penalty. Pilate sensed he was beyond his understanding because of this disturbing fact: the man before him was obviously not motivated by the same fears and desires as other men. But this troubling man was not beyond Pilate’s ability to judge as without fault. Certainly this man was not worthy of the punishment his accusers sought. We find ourselves in much the same situation, although today the pertinent question is, “What is justice?” Perhaps Germany can look to the east to understand the issues involved. Here are words from a November 6, 2014, conference at the “Sauna” room in the former concentration camp at Auschwitz-Birkenau. The Central Sauna at Birkenau. Marek Zirk-Sadowski, Vice-president of the Supreme Administrative Court, stressed that the law consist in judging of man by man. “The quality of a judgment depends upon the quality of a person. Justice is a property with a moral aspect. This aspect cannot be only procedural or formal. This needs to be taken into account when issuing a ruling”, he claimed. “Closing ourselves in legalism and failing to see a need to construct our sentences and rulings also on the principle of proportionality1 as well as failing to recognise the foundation of human rights, all lead to aberrations in even very good legal systems. It is very easy to be drawn into the mechanisms of inhuman law due to misinterpretation and failing to recognise certain values which need to be introduced to the legal system to avoid paying the price that the Germans paid having forgotten about this dimension of law”, he said. Can law be value free? Just what are “values”? According to the Cambridge Dictionaries Online, values are “the principles that help you to decide what is right and wrong, and how to act in various situations.” In other words, these Polish legal scholars maintain that law cannot be separated from morality. Is morality the basis of law? We ourselves, the members of the Twelve Tribes communities of Germany, would not know this to be true. Not from our experience at the hands of the authorities, neither we nor our children would know this to be true. We would not know that morality—what is written on the heart of man regarding good and evil—is the basis of law in Germany. We would not know there is a higher law than the written law. We would not know that the legal philosopher Gustav Radbruch, to whom President Hirsch proudly referred, ever even existed. Did the God who made us–yes, the very one ostensibly worshipped in thousands of churches around Germany–make us to obey or disobey Him? Is it possible to outlaw what both conscience and the Word of God teaches parents about how to raise their children? Could such a law actually have the force of law? Or is it one of the laws of Germany today “so unjust and so socially harmful that validity, indeed legal character itself, must be denied them,” as Gustav Radbruch said? In the conflict one must stand and one must fall. One must be acknowledged as weightier or one must be accorded validity. If the higher and weightier law falls then it is another step to the abolition of morality. What happens when wrong and right get confused? Do we have any examples from history to enlighten us? A final, sobering reminder of what was done very legally several generations ago. Legally, morally—is there a difference? Only those who can judge by the fruit will ever be able to tell. If you cannot tell by the good fruit of our children that our educational method is good, then you too, like so many Germans yesterday, today, and it seems tomorrow, will not be able to tell the difference between what is legal and what is moral. Attorney General Andrzej Seremet made a reference to the place (Auschwitz-Birkenau) where the debate was taking place: “This death machine, in the heart of which we are now, was to a considerable extent initiated by lawyers. If it had not been for the lawyers, there would not be those infamous Nuremberg laws nor the administrative organisation of Germany. We, as lawyers in general, should be forced to deeper reflection also on that aspect”, he said. That it is now regarded as perfectly immoral misses the point altogether. To the mind that refuses to judge a tree by its fruit there is no difference, nor ever shall be, between what is legal and what is moral. A society made up of individuals like this has no problem having laws without values. What such a society is capable of doing is beyond one’s lowest imaginations. Corruption, have we not learned from the past? Basic ideas of law and right were altered, if not abolished, during the Third Reich. No one is surprised by such a statement. But many would be if told that something very similar is happening today. Radical redefinitions of law are happening all over the so-called “first world”. Freedoms of speech, religion, expression, and education, to name a few, are being made to bow down before new imperatives such as gender equality and anti-discrimination. This is being done by both laws and judges. Whether the constitutions of the nations that they are embedded in will be abolished, rendered meaningless, or show enough vitality to beat back these frontal assaults remains to be seen. In this day it is not really understood that those constitutions commit their governments to protect the fundamental rights they proudly list. The most dangerous assaults of all are laws that defy the spirit if not the letter of those charter documents, but are enforced as though they are what they are not, which is valid law. Such laws unrighteously extend the scope of government’s power into realms forbidden it by both natural law and bills of right. They seek to alter the nature of society and more ambitiously, human nature itself. The effect of these assaults on human rights will be just as radical as what happened in Nazi Germany, but it will be less noticeable as it is happening slowly, over time.2 Most will never wake up to how greatly the world has changed around them. They will not realize that the change in law has effected a change in society. American states are getting a taste of it as judges, not the people, rewrite and annul their constitutions and laws. A worldwide, top-down revolution is in process.3 Some countries are finding that their ambitious social and political goals are impossible in the face of individual rights as they have been traditionally understood. Such nations are forging ahead on what they imagine to be a new road. Old ways are being abandoned or destroyed. New inroads into family and private lives are being made. Germany is such a country. He who controls the past. . .
To understand the present, we have to understand the past and how its influence lives on. How we still live, in other words, in its shadow. A very important person, both before and after World War II, is the subject of this post. That he could be important in both eras is very telling. In the Nazi era, Ernst Rudolf Huber spoke of the non-existence of individual fundamental rights and freedoms. He was one of the Kiel School of law teachers and legal philosophers.4 Abolishing fundamental rights left the government absolutely free legally to direct and punish however and for whatever purpose they saw fit. These were obviously very important aspects of “law” in those days. Theodor Maunz, Ernst-Rudolf Huber, Ulrich Scheuner, Ernst Forsthoff – the list of prominent university lecturers the Nazis were able to refer to is long. He spoke of how such eminent legal minds deprived Jews of their civil existence, of how judges committed 50,000 judicial murders, and how the “crown jurist of the Third Reich,” Carl Schmitt, taught that the Fuhrer’s degrees were not only beyond judgment, but were themselves “supreme justice.” Thus from the most eminent legal minds of the age, we hear quite clearly that there are no constitutional or moral restraints on a government’s power. This is the essential prerequisite to the abolition of personal rights. And this is the shadow of the past upon modern Germany, and falling too on many other nations. that the German judiciary have found their way back to Radbruch’s doctrine [stating] that there is a higher law than the written law. 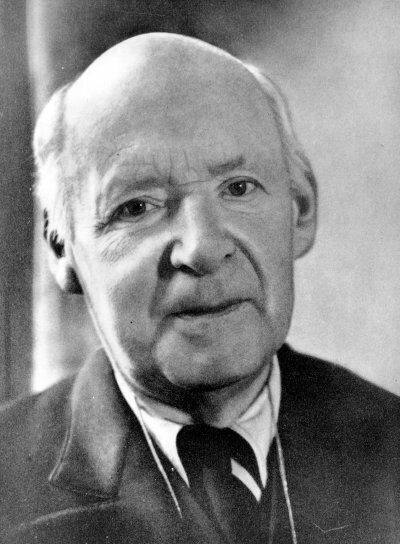 Men like Ernst Huber, whose enthusiastic labors provided the veneer of legality under which the Third Reich committed its atrocities, lived on teaching and writing after the War. His monumental constitutional history of Germany appeared from 1957 to 1991 (in eight volumes), for instance. Perhaps knowledgeable readers can let us know whether he ever repudiated his earlier writings. Others such as Carl Schmitt resisted all attempts at de-Nazification. Did the truth of this statement by Huber end at “zero hour” in 1945, when the nation of Germany had a hopeful restart? Or does it live on? Has the sacred, private sphere of the family been obliterated? It is looking that way to us. Huber was certainly describing then when he spoke of a state no more “based upon a system of inborn and inalienable rights of the individual.” But is he not describing now as well? Can you not substitute gender mainstreaming now. . .and make the exact same statement as he did then? The concept of personal liberties of the individual as opposed to the authority of the state had to disappear; it is not to be reconciled with the principle of gender mainstreaming. There are no personal liberties of the individual which fall outside of the realm of the state and which must be respected by the state. Do you think we exaggerate? Translation: Protect Parental Rights! Stop Gender-Ideologies and the Sexualization of our Children! This atrocious invasion of children’s private lives and places, straight from Brave New World, is, state institutions say, “normal and should be allowed.” Yes, gender mainstreaming is a universal guiding principle of the German government, a goal it is pursuing with all its might. It is not about to let a little thing like the inviolable rights articulated in the Basic Law get in the way. The concept of personal liberties of the individual as opposed to the authority of the state had to disappear; it is not to be reconciled with the principles that the Jugendamt acts by. There are no personal liberties of the individual which fall outside of the realm of the state and which must be respected by the state. The 2009 report, League for Children’s Rights, quotes a well-known German professor. Professor Klenner says that the Jugendamt operates in a “space outside the law”. He draws starkly ominous conclusions. This reasoning is a very dangerous step towards the abolition of the constitutional state. Parents are put under general suspicion, and this suspicion is declared sufficient for a violation of the Right of Respect of Family Life, but also the Right of Liberty and Security. Constitutional states – the very concept of limiting government to protect the rights of individuals – must be abolished to create a new man. Karl Marx recognized this, as is well known. But that today’s governments do, too, is so shocking and disturbing that most would rather close their eyes and, like the ostrich, bury their heads in the sand. What can the righteous do when the foundations are destroyed? (Psalm 11:3) There must be a place they can flee to. When one has the advantage, should one make use of it or not? Podewils suggested that this would be considered immoral. Originally published anonymously; its author soon became known. “It is thus justice (one would have to say) which must be the main responsibility of a sovereign. Since it is the prime interest of the many people whom they control, they must give it priority over any interest of their own. “What then becomes of Machiavelli’s of naked self-interest, self-aggrandizement, unleashed ambition and despotism? Indeed, as the Encyclopedia Britannica says, “Frederick, the third king of Prussia, ranks among the two or three dominant figures in the history of modern Germany. Under his leadership Prussia became one of the great states of Europe. Its territories were greatly increased and its military strength displayed to striking effect.” And who were the other “dominant figures in the history of modern Germany”? A poster of some seventy plus years ago lists them as follows. Did they all learn Frederick’s lessons, too? You be the judge. What the King Conquered, the Prince Shaped, the Field Marshal defended, the Soldier saved and united. Yes, when have governments been deterred by questions of morality? That is, when they have the advantage. There is much they can do then. Indeed, virtually anything. When have social services upheld such prime directives as extreme measures last (taking children away from parents)? When one has the advantage, one can seize the children first, confidently relying on the great advantage of the machineries of public opinion, already rolling, to justify its extreme measures. Reporters “respecting” our privacy and filming the trauma of our children being seized 5 September 2013. And then, if any “blips” appear in the program, the state presses on, confidently relying on the press to boisterously lie again and again to make the original, false picture still seem true. Yes, little things like children running away from foster care to run back to their parents. That would be a disturbing reality for the German people. Little things like beautiful cards from the captive children expressing their love for their parents and their longing to go home. Who cares about such little things? Even if the advantage is gained by such “CIA methods” as secret videos (as a Bavarian legislator said should not be done in the Senate hearing of January 23, 2014), then the State can do what it has longed to do, destroy a minority religion. Before any hearings, before any guilt was established, against other precedents, and even subsequent rulings of other, similar cases by the same judges, by seizing children first, not last. Not even when there is a lengthy history of friendship and cooperation with school officials and others, even the Jugendamt. No matter the trauma to the children and the devastation to the parents of doing so. Then, building on the advantages of force and manipulated public opinion, virtually denying the confiscated children contact with their parents. Yes, once every two or even three weeks for an hour. One can do such things when one has the advantage. Violating their supposedly inviolable rights to privacy in their letters and phone calls, denying them mail in foreign languages, denying them the freedom of their religion, mocking that religion, and even through intensive interrogation by criminal police attempting to turn those seized children against their parents. 11 children were taken in care for which there were no decisions of the district court Nördlingen. This constitutes the offense of false imprisonment – the deprivation of their liberty. Other legal bases according to Code of Criminal Procedure or under SGB VIII were not available. All seized children were forced to undress down to their underpants and show even the bare buttocks, there was no legal basis. The investigation showed that no signs of ill-treatment could be determined by the medical officer. This behavior, coercion under § 240 of the Criminal Code, is moreover a very serious matter because the offender has abused his powers or his position as a public official, and thus can be a criminal offence. The Jugendamt directed – on the basis of both written evidence and testimony – that all the letters of the children to their parents be opened and read, and that all the letters of the parents to the children be opened and read. This arrangement involved children of all ages, including young people between 12 and almost 18 years of age. These and further such actions constitute offenses, such as § 202 of the Criminal Code, § 206 Section 4 of the Criminal Code, and also violate the right to privacy under Article 10 of the Basic Law, optionally at retention of letters, also the crime of unfaithfulness. Justifications are not apparent. In particular, no court had ordered the inspection of letters and phone calls. Multiple times children ran away from foster care and children’s homes and were returned under use of physical force by members of the Jugendamt there. The use of physical violence against children requires a court order. Such an order did not exist. There have been several confirmations of this unique legal situation in proceedings at the Higher Regional Court of Munich, amongst others, with reference to a decision of the BayObLG of 4/27/1979 (Rb 3 Z 28/79, FamRZ 80, 81). Multiple times children were locked up in children’s homes. In one case, the children were being locked in at night. In another case, a 17-year-old girl was denied for more than a week, under the threat of physical and psychological violence, to leave the home for maladjusted children at all. Custodial measures had not been ordered by the family court. This constitutes the fact of deprivation of liberty that qualifies as a crime under § 239 paragraph 3 of the Criminal Code. The Jugendamt conducted multiple searches in Klosterzimmern and in the process invaded the homes of several people. Given the fundamental right to inviolability of the home there is a need for a legal basis for these searches. There were no judicial search warrants. Other legal bases did not exist. In the facilities in which the Jugendamt had assigned them, affected children were bullied in many ways, slandered, abused, and insulted as Jews inter alia. It will be necessary to consider whether these facts are a neglect of the duties of supervision by the Jugendamt and so constitute criminal offenses. But when one has the advantage one must not be deterred by morality. No, not even by one’s own laws, by an agency’s own code of conduct. . . not even by one’s own sense of decency. When one has the advantage, one uses it — if one does not fear God or regard even the cries of children. Read Luke 18:1-8 for the response of the Twelve Tribes to this injustice. Reader Commentary: Worst Human Rights Violation! This “German Republic” brags to be a liberal constitutional state, in which the basic rights of all people are respected — and is now found wanting to destroy a pacifist Christian denomination by taking all children away from them with a large contingent of child catchers and police and permanently places them in institutions and imprisons them with foreign commercial parents — and even the nursing mothers in the “protected” mother-child home the kids were torn away from the breast, as happened on 9 December 2013. There, they are then re-educated in terms of this materialistic industrial culture, though those in charge know that the kids want to stay strictly with their parents and in the community, because they know they are loved there and feel at home. The older children who were able to escape have proven it — e.g. these two matured girls that were to be captured back by this police state raid with over 100 police and children catchers initiated by the social services — fortunately in vain. The fact is: Moderate corporal punishment of a child by loving parents is not child abuse, and is also in accordance with Penal Code no offense, not to be equated with bodily injury, hence no justification to take away the children — and moreover against their will. Such moderate corporal punishment is a child-friendly education measure, since recorded history by all peoples practiced it if a child does not want to obey. It is practiced today legally in almost all countries. Children 3-12 years can not be punished with imprisonment or confinement or a fine. And often a child simply does not listen to instructive and admonitory words and does things that are harmful to others or himself. He must be protected from this. “He who does not want to hear must feel” (as the famous White Rose wrote 71 years ago in their fourth pamphlet to the German people). This is effective. This does not violate the dignity of the child. The noble sentence in Article 1 of the Basic Law “The dignity of man is inviolable ….” does not talk about parental rights, but about the horrible war crimes of the previous war. It belongs to the nature of the punishment that it hurts. Otherwise, it is not an effective punishment. This the rulers know also, which is why they want to punish young people in the future with loss of drivers license. The fact is: With the children of the Twelve Tribes at no times were found marks of abuse, even though the state authorities have always sought after. Even after removing all the children on September 5, 2013, it found none. A few strokes on the buttocks hurt a short time, then the child is glad and happy again. However, these stolen children are now permanently unhappy, neglected and deprived of their parents and a happy childhood! Particularly gravely and enduringly damaged in their development are the ones under three years old through the trauma of tearing away from the care of mother and father in their development. Paid caretakers have now not so much interest and time let alone love as the biological parents for their beloved children. Then the children “learn” in the homes to smoke (a harmful and very expensive addiction that can be very difficult again to get away from) and worse, the “cool” and boorish behavior with which they won’t arrive in professional life later (which is why the “DIH” congress had to find out at his last poll that 75% of the companies surveyed thought the graduates of the state school to be not mature for further education/training). For sure they will not learn disciplined behavior there — without which, however, no productive work is possible. When they later earn money,by the government takes away all their income again except what is necessary for subsistence, in order to recover the expensive nursing home costs and other purchased services costs (according to § 91 SGB VIII). Also from the parents they demand reimbursement of foster home costs up to the poverty line. In this way they botch the young people’s entire future and ruin these families as well. So the matter is in truth not about safeguard the interests of the child and not respecting its dignity — that’s just an excuse, but about child robbery, family destruction, persecution of Christians and job creation for the life of foreign child care. Actually, hundreds of thousands of parents ought to be seen now speaking out, because all of them want the authorities to concede their right to use corporal punishment to raise good children. This scandal makes definitively clear that we have here in today’s Germany, yes, especially in the supposedly liberal and Christian Bavaria, in the educational field a communist dictatorship — in the sense of the 1968 neo-Marxists — of all children and total disregard of all respective fundamental rights concerned: it has disregarded the law and disregarded the will of the parents, the will of the children and their dignity (they were not asked! Also their religion and freedom of conscience is being disregarded). It is also the fundamental right of freedom of religion which is taken from them:during this raid, at 6 clock a.m., the Twelve Tribes practiced worship, like every morning. Now the children placed under rule foreign, being nationalized can no longer practice their religion. The families are not protected, such as the Basic Law requires it, but destroyed. Yes, there is a whole community of faith being ruined and also economically brought low. Even before emigrating with their ​​children Judge R. from the district court Nördlingen did not want to allow this. Dictatorship pure! The rulers of this country should ensure that in her country where human rights are respected before they send a compliance reminder to Russia and China. Those responsible at the District Office and in the judicial system should be, if there is to be justice in this country, be tried and sentenced by the International Criminal Court in The Hague for kidnapping and genocide under international penal code § 6 paragraph 1 item 5. The church homes should refuse to participate in this injustice. This post is in reference to the father’s statement over the megaphone to the police and social workers conducting the Third Raid on July 1, 2014. Why have the judges still not started yet with the court cases after 10 months?!!! After ten months…how slowly the wheels of justice turn in Germany! They roll over families and they grind the children down. They seek to take away the faith even of the children. They want the adults to deny their Master, the Savior. They openly persecute for cause of conscience…very plainly religious persecution, to destroy a group of people (genocide)…violate inviolable rights…and no one seems to care. So the guilt spreads to the whole nation, complicit in evil as before. The judge in Wörnitz did not have such difficulties. The prosecutor there pressed no charges. Could the difference be the scandalous invasion of privacy done for profit (which invasion is the evidence) the judges in Klosterzimmern have to work with? Do they really wish such a precedent to stand against the German people? Does “1984” come so quickly then? After one day the Jugendamt doctors announced (on 6 September 2013) that the children of Klosterzimmern and Wornitz were healthy, well-adjusted, respectful, and in no way abused. Why did the judges not call a halt to the whole thing then? Could it simply be that “child abuse” was never the issue? Is not belonging to the Twelve Tribes the crime being persecuted? As objective scholars have said, there has been a strong anti-cult bias at the heart of the conflict. Ten months later over half the children seized are still in state custody. Their parents’ crime: membership in the religious group the Twelve Tribes. The historical village of Lidice is a memorial to commemorate the child victims from this time Czech village that were murdered by the German Nazis. They have an annual event, “The International Children’s Exhibition of Fine Arts,” a competition of children’s art projects from all over the world. Our children had send pictures as well and since it happens to be right around the corner from us the parents went with their children together for the official opening ceremony. Especially with our situation in Germany we felt it was good for us to understand more about this event in history. To our surprise the event did not so much address what happened in the past, it was just a happy children’s day with different activities. It seems as if most people do not really want to remember the terrible crimes of the past and do not want to have to deal with real things that plague the human race. When we were standing by the bronze sculpture, a life size reproduction of the victims, there was a tourist guide who explained how hard it is to imagine the great suffering that these children went through. I would have liked to jump up and let all the people there know that my sisters and all the other children of Klosterzimmern and Wörnitz are suffering something similar right now! Back then they destroyed innocent lives, but is it different today? I was not executed, but I had to suffer being separated from my parents. Do the authorities want to extinguish the Twelve Tribes? It is so sad that Germany is repeating its terrible history. Are there not still people with the courage to stand up against injustice? Besorah, daughter of Abiyah and Rekah (age 15). Here are the facts she learned of that terrible time. On May 28th, 2014 I went to the Czech memorial in Lidice. I was very shocked about what I learned about the terrible history of this village. 72 years ago a German SS leader was assassinated by two men. When the Gestapo searched for the murderers they found some clues leading to Lidice. Without having any certain facts they executed a cruel judgment on the population of Lidice. All the men older than 14 were shot, all the women transported to a concentration camp, and almost all the children gassed to death, except a few chosen ones (that seemed suitable for Germanization) were brought to German foster homes. The few children that were left suffered a great shock and wanted to go back to their parents, but they had no chance. The wrath of the Germans against these Czech men that were supposedly hiding in Lidice was so great that they decided to eradicate every trace of this village and even the name from the map. All the buildings were torn down until not one stone was left on another. They even opened the graves and dug out the bones – there was absolutely nothing left from the village. Note: Surprisingly, the German commander of the slaughter at Lidice, Max Rostock, actually lived until 1986 in West Germany, suffering no legal consequences from his government. He died in Mannheim, Germany, age 76 years and one day. Maybe they haven’t. It seems that way to us.